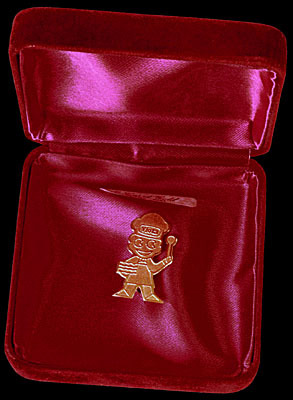 In 198586, 250 of these 9 carat gold brooches were issued to runners up in a Viota (one of the Robertson's companies) cake mix treasure hunt competition. Each brooch was despatched in a red velvet presentation box. The reverse of each brooch bears a hallmark. 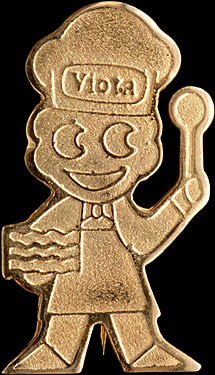 The Gold Viota is also available with a diamond in the spoon. The number of Gold Viota's with a diamond issued is unknown, nor what distingushed winners with or without the diamond.